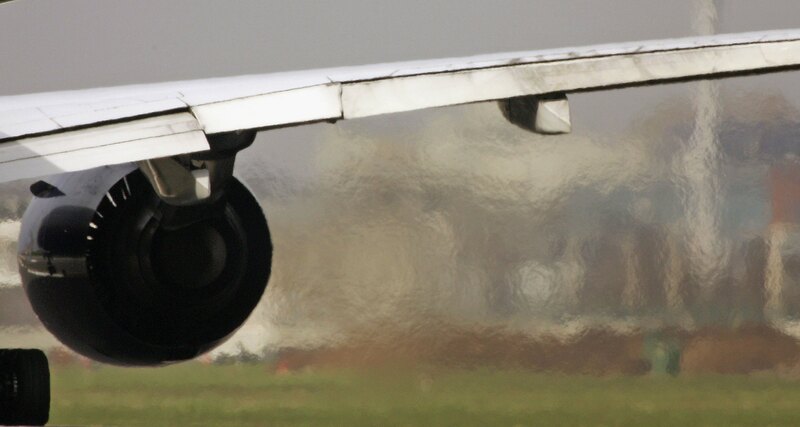 New green standards for the aviation industry will not reduce emissions as much as stated and should be rejected, according to a new letter sent by a group of NGOs to senior EU officials and seen by Unearthed (PDF). Following six years of deliberations, the International Civil Aviation Organisation (ICAO), a United Nations body, announced the new rules in February — months after aviation was controversially left out of the Paris climate agreement. In an appeal to senior EU officials, a group of 21 NGOs – led by Brussels-based Transport & Environment – dismiss the plans as a “failed standard that will not reduce emissions beyond what would have occurred without it”. The signatories also suggest that the plan will delay the deployment of new cleaner technology and heavily criticise the level of industry involvement in the negotiations that led up to the announcement in February. An ICAO working paper from 2009 seen by Unearthed notes concerns from national committee members about the influence industry observers enjoy within the body’s decision making process. The ICAO has since decided to retain those powers. The body is itself also funded directly by the aviation sector. The ICAO received hundreds of thousands of Canadian dollars in donations from Boeing last year, months before the body presented its emissions plan. The donation was not linked to that work however — instead being used to develop global aviation safety infrastructure. The letter – addressed to European Commission vice president Maros Šefčovič, EU transport commissioner Violeta Bulc and energy and climate change commissioner Miguel Arias Cañete, as well as EU transport and climate commissioners – calls on the EU to reject the ICAO’s emissions plan and create a measure “more consistent” with the Paris agreement. “Decision-making at the behest of the manufacturer duopoly and facilitated by ICAO’s closed door approach to climate negotiations is a clear betrayal of Europe’s post-Paris climate ambition,” reads a section of the letter, which was shared with Unearthed. The sector currently makes up 2% of global emissions, which is roughly the same as Germany. The US government has predicted that emissions from airplanes could increase by 50% in the coming years if left unchecked. Supporters of the ICAO’s standards, including the US government, state that 650 million tonnes of carbon would be taken out of the atmosphere under the plans, between 2020 and 2040. The letter’s signatories put that number at just 300 million tonnes. The level of industry funding for ICAO has also alarmed observers. Boeing contributed CA$125,170 to the organisation. This was consolidated into a larger donation of CA$381,300 made over a number of years by the company. When contacted by Unearthed the ICAO said the money was earmarked for the organisation’s “capacity-building programmes” and was added to the ICAO’s safety fund. The fund aims to “improve the safety of civil aviation by addressing serious safety deficiencies in countries which lack the financial means to do so”. The amount given by Boeing exceeds donations from some countries. Russia is listed on the ICAO’s website as giving a little under CA$150,000 to the body’s safety fund in 2015. In a statement, Boeing told Unearthed that the donations had been aimed at promoting safety. The ICAO has long been accused of having a close a relationship with industry. The body’s 2009 working paper paper, presented by the chair of the ICAO’s chair of the working group on governance (policy) in June 2009 complained that observers on the body’s legal committee were able to make motions and amendments, a privilege normally reserved for country representatives, so long as they were seconded by two member states. Shortly after the complaint was made, the ICAO’s legal committee decided to retain the ability of observers to make motions and amendments on the legal committee. Months before the Paris talks, Boeing along with Airbus and Rolls Royce, signed a commitment to reduce carbon emissions from 2020, a move that was enshrined in the ICAO agreement. Under the plans manufacturers of both small and large aircraft will have to meet new guidelines on the design of planes built after 2020. Existing planes will have to comply with the new efficiency standards by 2023, and no planes with the current standards will be allowed to be built by a cut off point in 2028. Boeing welcomed the deal issuing a statement which said it was “fully committed to meeting the new CO2 emissions standard announced by ICAO”. Together with Airbus, Boeing aircraft are responsible for 90% of global aviation emissions, according to analysis by Transport and Environment. “Six years of intense effort have resulted in a failed standard that will not reduce emissions beyond what would have occurred without the standard,” reads the letter, signed by Transport and Environment, Carbon Market Watch, Campaign for Better Transport and others. “Set as a constant to regulate a changing parameter, and with stringency level dates that are too late, the standard may in fact delay the deployment of new technologies that the market might otherwise have delivered.